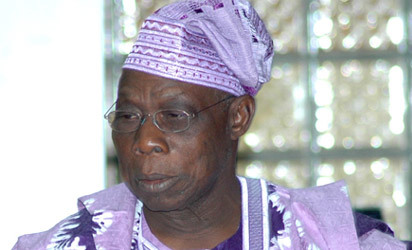 FORMER Nigerian military and civilian Head of State, General Olusegun Obasanjo has warned African dictators and sit-tight leaders that their days were mumber: “You are now endangered species.“We don’t have to worry ourselves over sit-tight rulers. How many of them are left now? They are becoming endangered species,” Chief Obasanjo said in an answer to a question on why Africa is menaced by a host of power-thirsty rulers who do not want to leave office and often manipulate elections to remain in power. OBJ, who in his time as the president of Nigeria tried but failed to secured a third term in office, is currently at war with President Jonathan over response to certain statement credited to OBJ on Jonathan perceived weakness for not adopting Odi precedent in handling Boko Haram issue. The war firing on between father and son was further stoke when it was filtered in that President Jonathan may run for office in 2015.